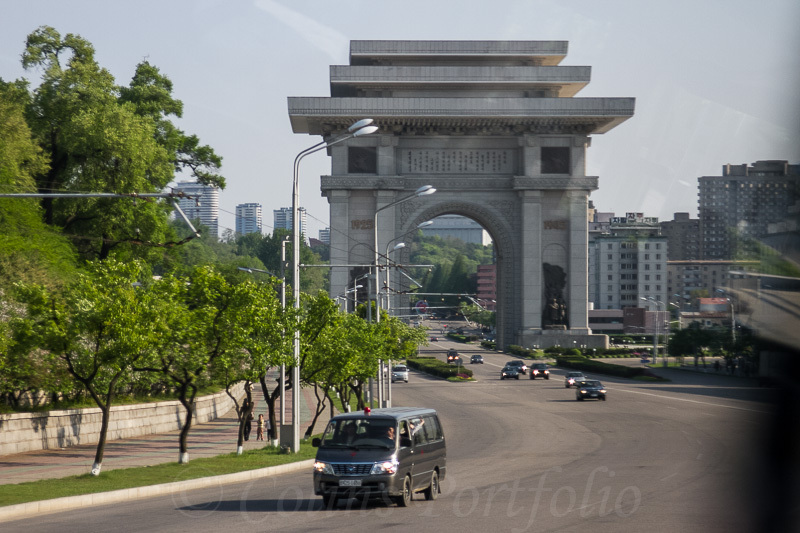 Colins Photography: The Arch of Triumph, erected in 1982, on the 70th birthday of Kim Il Sung. The Arch of Triumph, erected in 1982, on the 70th birthday of Kim Il Sung. This 60m high white granite arch is dedicated to 'the home return of the Great Leader who liberated Korea from Japanese colonialism' and has dozens of rooms in the interior.